Long sleeves; left logo patch. For in-store inquiries, use sku #2660804. 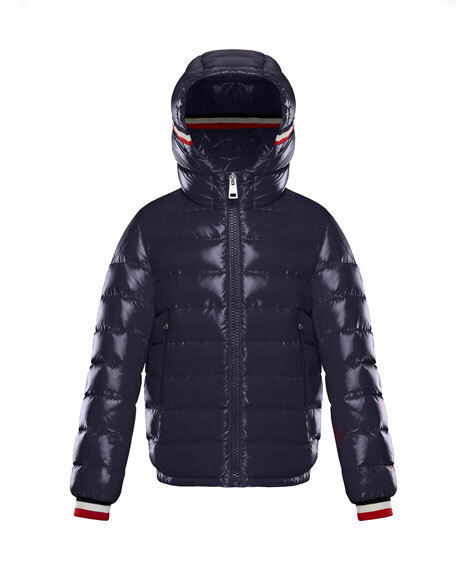 Moncler "Alberic" puffer coat with flag detailing. Hooded collar; tricolor trim; zip-up front. Long sleeves; banded tricolor cuffs. Side zip pockets at waistline. Standard silhouette. Straight hem. Nylon self. Down/feather fill. Imported. 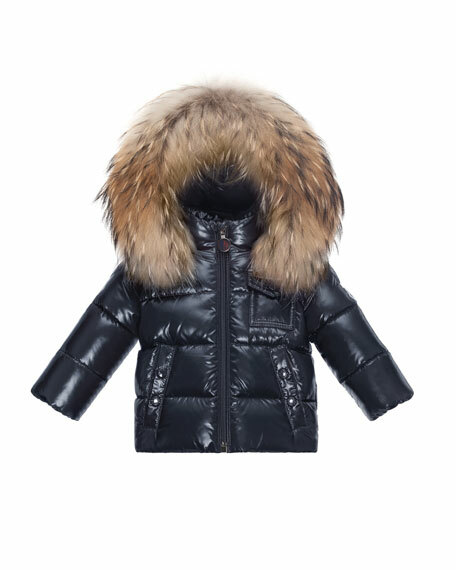 Moncler "Iraida" quilted coat. 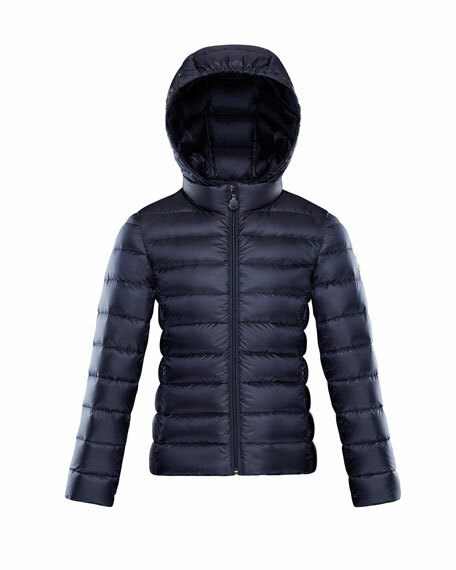 Stand collar with removable hood; zip front. Long sleeves; logo patch at left shoulder. Hidden zip pockets at waist. Fitted silhouette. Straight hem. Interior care instruction comic. Nylon; fill: down/feathers. Imported. 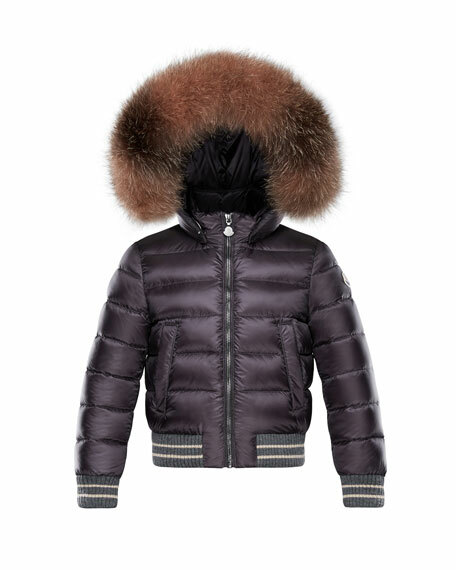 Moncler "K2" quilted coat. 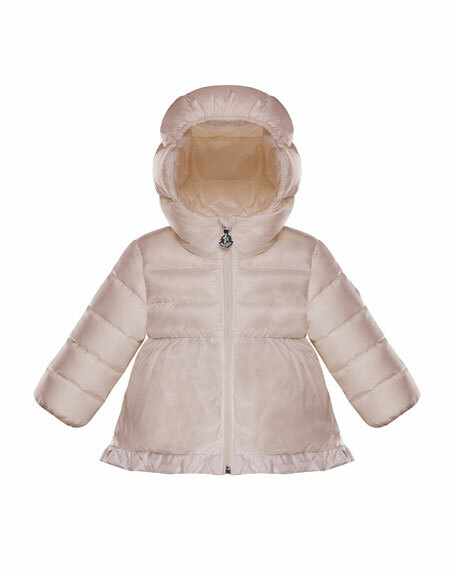 Hooded collar with dyed fox fur (Finland) trim. Long sleeves; logo patch at left. Flap-snap pocket at left chest. Snap pockets at waistline. Semi-fitted silhouette. Zip-up front. Straight hem. Nylon self. Down/feather fill. Imported.